CV-Library has today announced that its online database now boasts 12 million registered CVs, making it the largest CV database with the highest number of registered CVs in the UK. CV-Library has reigned as the nation's largest CV database for the last four consecutive years and this looks set to continue. The number of British professionals registering with the job site averages at nearly 200,000 each month, resulting in a 10% increase in overall candidate numbers over the past eight months. In addition, CV-Library is continuing to solidify its position as the market leader as it continues to break records when it comes to site visits, job applications and vacancies. The site has already been named the UK’s ‘Best Job Board’ at the 2017 Global Recruiter Awards. 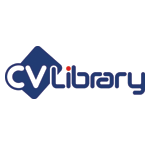 CV-Library was founded by Biggins in 2000 as a response to his own frustrating job search experience, and has grown into the UK’s leading independently owned job board. For further information on CV-Library and to view its extensive database of 12 million job hunters, see www.cv-library.co.uk.